A week ago, tomorrow, one of the most influential documentary photographers passed away at the age of 75. Mary Ellen Mark was so inspirational to me, especially when I was getting my BFA and MFA in photography. I remember writing one of my graduate papers about her and truly being inspired by the type of work she made as well as the way she told her stories. Although she was sometimes compared to Diane Arbus, I disagree with that. 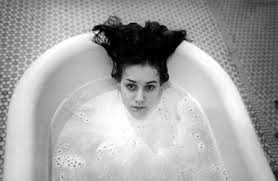 Diane Arbus considered her subjects "freaks" whereas, I believe that Mary Ellen Mark did not describe her subjects like that. Instead, she shined a light on those who were different and got to know them. For example, Ward 81; the Dam family, a couple who lived in their car in L.A., and the Falkland Roads project. These projects involved Mark getting to know her subjects over time. "I guess you could say this is when I started moving away from mainstream society and instead focused my lens on people who haven't had the best breaks in society," she says. "What I wanted to do more than anything was to acknowledge their existence." 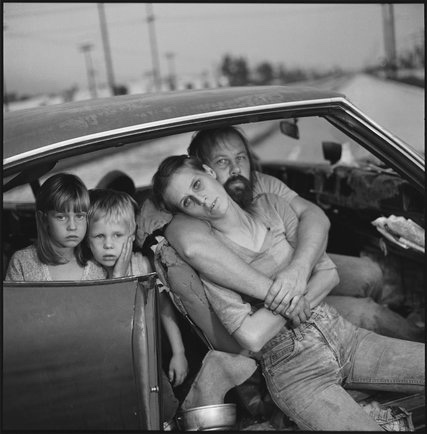 Quoting, Photo District News, "I'm so lucky to have found what I wanted to do forever when I was just 23 years old" Mary Ellen Mark's work resonated with me, especially her earlier work, Ward 81. Those were different times when she was allowed almost unrestricted entry into the world of mental illness. In her series, Ward 81 Mark "lived in a women's locked psychiatric ward at Oregon State Hospital for 36 days" and nights. (In) 2014, she said in an interview with PDN that (the Ward 81) "series and Falkland Road began her journey of setting her on a path of pursuing single topics in depth. That's what I've always been interested in: themes, of things that are universal, like twins or mental patients or circus people." Melissa Harris, describes her work the way I feel about her work and her. I was fortunate to have take a workshop with her several years ago, and I am still inspired by her work whenever I look at it. 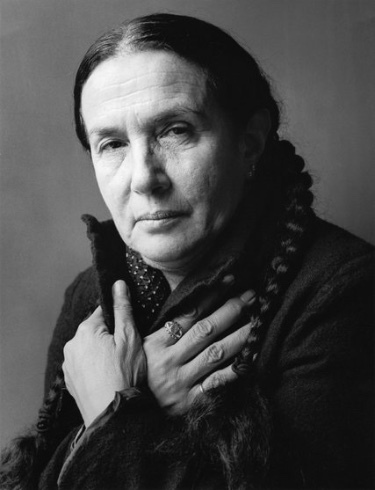 Rest in Peace Mary Ellen Mark and know your work was important to many. Two images that impacted and influenced my path in photography were, the Dam family in a story about LA homelessness and the first image I saw of her work, long ago, was this image from Ward 81. For more information on her and more interviews and videos, please see below.